Our digital agency prides itself in being a high-performing production house, but this often means most of our team members are frequently “heads down” working on projects and liaising with clients. We love keeping busy and making our clients happy, but we admit that it can sometimes result in blind spots. When you’re constantly focusing on the “now” — meeting project deadlines, onboarding the latest client, solving an emergency technical issue, executing quarterly marketing strategies — it can be a challenge to keep tabs on the future ahead. That’s where our fantastic VP of Operations, Justin Atkinson, comes in. 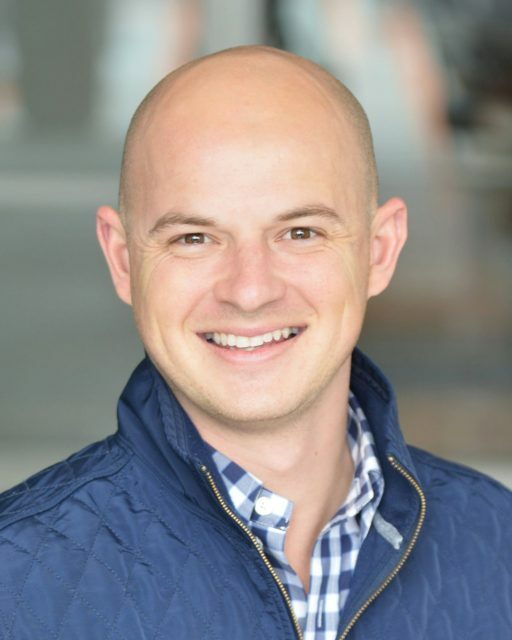 Justin not only provides support and accountability to our busy team, but also works to forge an intentional path that anticipates the future needs of both our clients and our company. In the latest installment of our “Meet the Team” interview series, Justin shares a little bit about his work and offers his vision for the future of digital marketing and web design. As VP of Operations, what do you do at Southern Web? Really, what I do is make sure that we are steering our company “ship” in the direction we want to head, as efficiently as possible. I am lucky enough to be surrounded by such a great team that makes my job not feel like work. What is the most challenging part of managing the daily operations of a busy digital agency? Honestly, I think the most challenging part of my job is consistency. What I mean by this is, how do I help our team to continue to deliver, on a daily basis, the best product we can at the highest level of consistency we can? If we can consistently provide our best effort and deliver our best product (whether that be customer support, a website redesign, or any one of our digital marketing services) then we will not only be in a good position as a company, but I think we as a team will be more confident in what we deliver to our clients. What tools or apps could you not live without? Without a doubt, the one tool that I use and that I could not live without would be Trello. I have been using it for years now and it helps me manage anything from travel and personal life to all things I need to address for work. How do you keep up with the latest digital trends and technologies? I subscribe to a number of magazines and email newsletters. One email newsletter that I have come to love over the past year is called “Morning Brew” and I would definitely recommend it. How do you see the world of digital marketing and web design changing in the next 5 years? As always, the gaming world will play a tremendous role in shaping what users expect from a design and user experience perspective, as they navigate from their gaming consoles to the web. From a marketing and advertising perspective, this opens the door to an entirely new world of engagement points with users. What will a display ad look like? How will retargeting work? How will we translate our current methods of cross-domain tracking so that we can view user navigation from one experience to the next? What will the checkout process be like? Of course, I don’t know the answers to these questions. However, I am really excited to find them. 100% flight. As anyone who has had to sit in Atlanta traffic can attest to, being able to fly from place to place would be amazing!